If you’re driving north of Brisbane, you’ll notice a lot’s changed in the past 5 to 10 years. Brisbane’s suburban fringes are expanding at an unprecedented rate. And if you’re looking for affordable housing that’s still within a reasonable commuting distance from Brisbane, you’d be hard pressed to look beyond the new estates in Caboolture, Narangba and North Lakes. But, if Caboolture crime rates are anything to go by, these shiny new estates are hiding a dark little secret. Caboolture, Narangba and North Lakes have experienced unprecedented population growth in recent years. This is mainly due to new tracts of land being opened up to residential development. Narangba Heights and Stone Ridge estates in Narangba, The Riverbank and The Reserve estates in Caboolture and North Lakes and Mango Hill Estates are just a few of the new estates to the north of Brisbane. New housing estates mean newly furnished homes with brand new appliances; an attractive proposition for any would-be criminal. If you’ve blown your whole budget fitting out a new home, you’re also less likely to have turned your mind to the issue of security. Sadly, your standard house and land package won’t include quality security screens, locks and alarms. The first time you realise that might just be when it’s already too late. New estates also mean it’s easier for a burglar or thief to slip under the radar. If you’re living in an estate where homes are still under construction, you’re not going to notice the comings and goings of the tradesmen in utes or small trucks. You’re also less likely to know your neighbours. That means you’re all less likely to pick up on something that’s out of the ordinary. New estates are often built long before local infrastructure catches up. Often this means that it can be some distance to your nearest police station. Police responses to crime in the new estates can be slower as a result. It can also mean fewer police patrols and less of a visual deterrent to criminals. And if that’s not enough, the recent closure of the Narangba Police Beat has added to the delays in response police response times. And that’s good news for criminals in these areas. If you don’t believe us, just look at the statistics. The Queensland Police Service collects data on crime rates and reported offences each financial year. For the purpose of drilling down into the stats, Caboolture and Narangba fall under the Moreton policing district, whilst North Lakes is just over the border in the Northern Brisbane district. If you’re in Caboolture or Narangba, your local Moreton district crime stats indicate that there was a 10.3% increase in assaults and a massive 12.3% jump in thefts in the last financial year. So, that’s a snapshot of the most prevalent criminal offences in your area. How does your suburb compare to other parts of Brisbane or the Sunshine Coast? To understand how your area fits into the bigger picture, you have to look at the crime rate. It differs from the rate of reported offences. That’s because it’s calculated as a figure per 100 000 people. As you’d expect, some areas are far more densely populated than others, so you’d expect those areas to have a higher number of reported offences. By calculating what the crime rate is, you put everyone on a level playing field and that way you can see where the actual crime rates are higher than other areas. For example, the crime rates for unlawful entry (i.e. 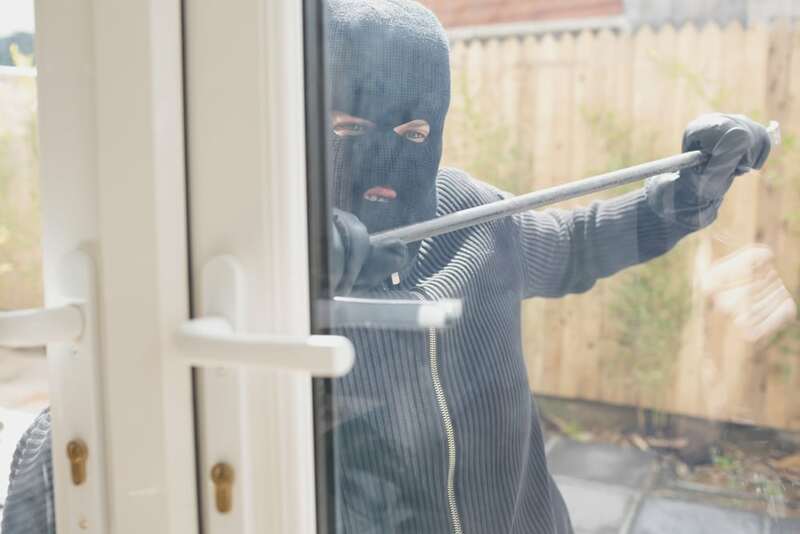 break ins) in the Moreton area which covers Caboolture and Narangba was 654 per 100 000 in the last financial year (January to December 2014), compared to 411 per 100 000 in the Sunshine Coast Police District just to the north. The North Brisbane District’s crime rate for unlawful entries in the same period was 572 per 100 000 population, so it fared only a little better than Moreton. Unfortunately, the crime rates attributable to the policing districts don’t really assist in determining whether there are any particular hot spots within a district. You have to look even more closely at the statistics that are derived from the police divisions that sit within a policing district. Close analysis of these figure indicate that there were massive and unprecedented peaks in overall crime in Caboolture in late 2014 through to early 2015. This included drug offences and property offences (including theft and unlawful entry). To really get a feel for how your local area fits in with rising crime and offence rates you can also look at the workload of the local Magistrate’s Courts. Caboolture Magistrates Court services Narangba as well as Caboolture itself. Pine Rivers Magistrates Court at Strathpine also picks up some of the workload coming out of the North Lakes area. Caboolture Magistrates Court dealt with 7198 defendants in criminal cases in the 2013 – 2014 financial year (Magistrates Courts of Queensland Annual report 2013 – 2014) compared to 5575 the previous financial year. That amounts to a massive increase in of criminal cases in the area over a 12-month period. The same trend was apparent in the statistics generated in relation to the Pine Rivers Magistrates Court, which covers North Lakes. They also saw an increase in workload: there were 4471 criminal defendants whose matters were listed at the court in the 2013 – 2014 financial year compared to 4018 the previous financial year, roughly a 10% increase. Drug offences are a relevant consideration in the overall picture of crime rates in Caboolture, Narangba and North Lakes. That’s because where there’s a drug problem there’s drug-related offending. Drug addicts inevitably get to a point where they need to commit offences to support their addiction. Thefts and break and enters are the bread–and-butter of drug-related offending. Overall, drug offences are up 3.8% across Queensland, according to the Queensland Police Service. The Queensland Government Statistician’s Office recently released its Report on Recorded Crime – Offenders, Queensland 2013 – 2014. Their report indicates that drug offences made up almost a quarter (24.4%) of all Queensland criminal offences for that financial year. Theft, property damage and unlawful entry with intent followed closely behind, making up a combined total of 21.5% of all offences that financial year. Caboolture and Narangba in the Moreton police district recorded 804 more drug offences in the 2014 – 2015 financial year than those reported in the 2013 – 2014 financial year. Similarly, the North Brisbane district (covering North Lakes) saw a 5.4% increase in drug offences. That’s compared to a 3.8% increase Queensland-wide. No matter how you look at it, the Caboolture crime rate, and that of Narangba and North Lakes, point to one undeniable fact: criminals find the shiny new estates north of Brisbane just as attractive a proposition as you do. If you’re living in Caboolture, Narangba or North Lakes, don’t despair. There’s much you can do enhance security around your home. At Vincent Security we can show you any weaknesses in your existing home security system and fully explain your available options. We are also accredited stockists of Crimsafe security screens and doors as well as our own premium VS range of welded steel and aluminium security doors. In fact, we’re the one-stop shop for all your security needs. Contact us at Vincent Security today on (07) 3849 4555 for a friendly obligation-free security audit, measure and quote at your Caboolture, Narangba or North Lakes home.